The Times Crossword is the world's most famous crossword. Tease your mind. Test your wits. Entertain your brain. Wake up or wind down with this superb crossword collection from The Times, complied by Mike Laws, the Editor of The Times Crossword. The Times Crossword has been baffling, infuriating, challenging and delighting its devotees for close on 80 years. Over this period of time it has become, quite deservedly, the world's most famous crossword. It is, quite simply, The Times Crossword. 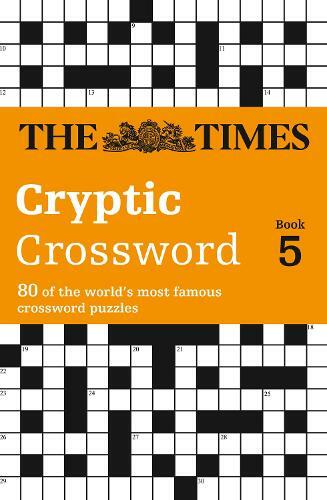 Continuing the enormous success of previous titles in the series, The Times Crossword Book 5 will be eagerly snapped up by crossword aficionados everywhere. Previously published as The Times Crossword book 5.